The opening moves of a deadly game have begun. Jess Brightwell has put himself in direct peril, with only his wits and skill to aid him in a game of cat and mouse with the Archivist Magister of the Great Library. 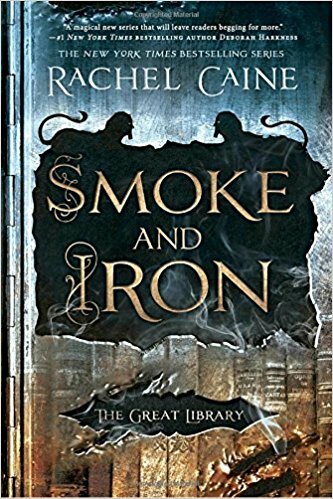 With the world catching fire, and words printed on paper the spark that lights rebellion, it falls to smugglers, thieves, and scholars to save a library thousands of years in the making...if they can stay alive long enough to outwit their enemies. I snagged this volume off my library's Lucky Day shelf. So incredibly excited to read this one. I was in from page one and sped through the entire book in just a few days. I loved the varying narrators to give a bigger picture of the characters. Khalila has become my favorite character in the entire story. Her quiet strength and leadership is just amazing. Unfortunately, I didn't realize that this wasn't the end of the series. I have to wait who knows how long until the final volume is this great series.